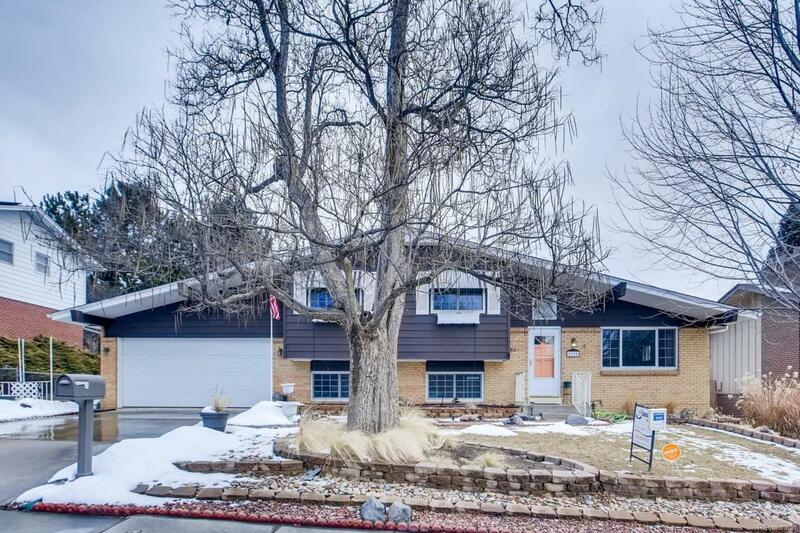 Beautiful, move-in-ready 3 bed, 3 bath home with wonderful back yard in desirable Bear Valley! This home has been nicely updated by a long-time owner and it shows. Updates include roof, furnace, sewer line, flooring, paint, windows, kitchen, baths and more. The kitchen features granite, tile backsplash, and stainless appliances. Upstairs are 2 beds, a bath and loft; on the main are living, dining and kitchen; the lower level has a bedroom, bath, and family room with fireplace; and the finished basement has a multi-purpose area for use as a play room, office, or private suite, plus a bath and laundry. Great landscaping front and back with sprinklers. The backyard is simply charming and will come into its brilliance as spring hits! It features a covered patio, large deck, arbor, water feature, 2 sheds, garden area and is perfect for relaxing or entertaining. Solar water ensures endless hot water! 2-car garage. Close to shops, restaurants, and parks! Call to schedule your showing today!